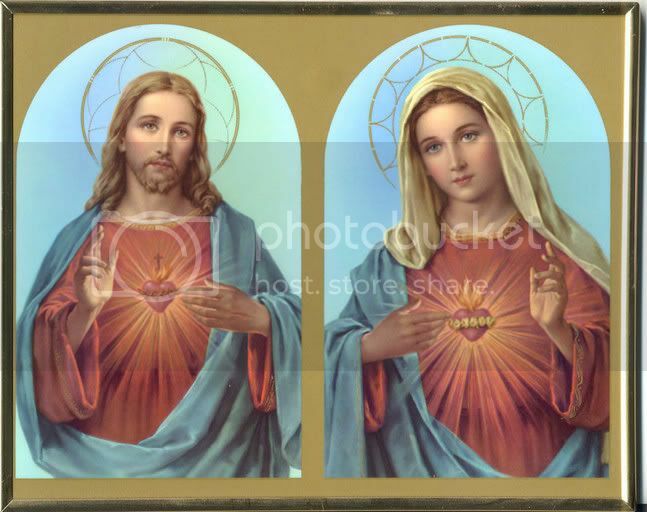 The Two Hearts Ablaze inception, came by inspiration of The Sacred Heart of Jesus and The Immaculate Heart of Mary. Tom and I were so very blessed by these Two Hearts and would like to dedicate this site in their honor. We have received special graces due to prayers asked for special favors, and we have in turn been overwhelmed by the additional gifts granted through them on our behalf. We would like to give them a small token of our gratitude by informing others of the miraculous powers granted by their intercession. We will touch on all aspects of the Sacred and Immaculate Hearts regarding prayers, novenas, art, history and literature. 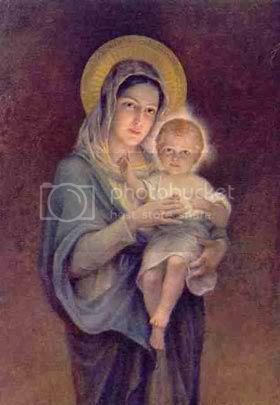 Through the intercession of The Immaculate Heart of Mary our prayers reach her Son. He cannot refuse His Mother anything ( as we have well found this true). I would like to begin my first post with The Act of Consecration by Louis de Montfort. The book by this author as well has a very special place in my heart. Shortly after reading this book back to back with St Therese Lisieux was the conversion to Traditionalism for me. Consecrationg my heart to Jesus through Mary and the act of a simple life by the Little Flower has held my faith firm and given me special graces never received before. I will be eternally grateful for this. Below are sections taken from the book which I hope you will read and also consecrate yourself to the Blessed Mother as she acts as Mediator Dei. At the end of the 3 weeks you should go to confession and Communion with the intentions of giving yourself to Christ through His Mother Mary. Then you make an act of Consecration to the Blessed Virgin Mary which should be handwritten as well as said. "I, a faithless sinner, renew and ratify today in thy hands, O Immaculate Mother, the vows of my Baptism; I renounce forever Satan, his pomps and works; and I give myself entirely to Jesus Christ, the Incarnate Wisdom, to carry my cross after Him all the days of my life, and to be more faithful to Him than I have ever been before.